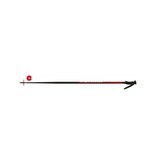 Dynastar Vector box 30 pairs poles ... The VECTOR pole is an all-mountain pole with a durable, aluminum shaft and bi-material grip. Sold as a pair..